In my poetry life, I write poems, give readings, teach writing classes and workshops, and encourage poetry everywhere. 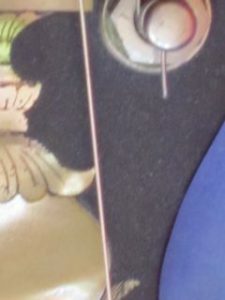 I have several books: Mytheria (Two Sylvias Press, 2017); The Cupboard Artist (Floating Bridge Press, 2012); Now (Bear Star Press 2007); and By A Thread (Van West & Company, 2000). And don’t forget Exercises to Free the Tongue, art and poetry collaboration with Ellen Ziegler, featuring poems and archival photos about my grandparents’ lives as ventriloquists on the vaudeville stage. In my music life, I play old-time banjo, fiddle and guitar. I give banjo lessons, play for dances, concerts, and in living rooms, and love to get together with friends who play. My recordings are Instead of a Pony, and Goose and Gander. Oh wow, I have a new poetry book out! 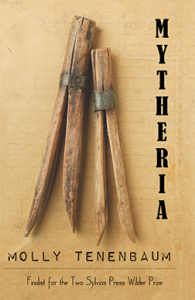 So honored that Two Sylvias Press has published Mytheria as a finalist for the 2016 Wilder Prize! Read “The White Wing,” just out in Issue Three of Small Orange. I’m thrilled to have a new poem, “My Brother’s Face,” out in the Winter/Spring 2018 issue of Alaska Quarterly Review. At Augusta Old-Time Week this summer, July 22-27 2018, I’ll be teaching Advanced banjo. Come join the class and the fun. Read two poems out in ucity review. SALE: Books and music off of my shelves and into the world. $5! $1! Read “Sounds Heard from Inside the Ashes Box”: I’m honored that the Cortland Review has published this poem. Check out Exercises to Free the Tongue: poems and text by Molly Tenenbaum, artist’s book by Ellen Ziegler, printing and binding by Paper Hammer. Illuminated with historic images and ephemera from Molly’s grandparents, ventriloquists on the vaudeville circuit in the early 1900s, this book of poems plays with ventriloquial metaphors of voice and breath. A long time in the works, this is a book to celebrate.The artist’s book is printed in a limited edition of 20 copies; a less limited spiral-bound edition is also available, and you can even buy it at the store. 5” x 13”, 42 pages. Click here to see more poems and pages from the book. Private banjo lessons: At Dusty Strings Music School in Fremont as well as in my living room. Call or visit Dusty Strings to find out about lessons there. Click here for information about my lessons and teaching philosophy.